District officials are required by the state to fix problems if they discover lead in water at levels greater than 15 parts per billion (ppb). Lead levels exceeding the standards set by the San Diego Unified School District were found in the drinking water of two San Diego schools that had similar test results last year. The district released a statement Tuesday saying that led was discovered during quality control sampling at Encanto Elementary School and Birney Elementary School in University Heights. Four water fountains at Birney Elementary were turned off after small quantities of lead were found Friday, district officials confirmed to NBC 7. The amount of lead found is below the 15 parts per billion (ppb) action level set by the Environmental Protection Agency (EPA). However, the district set a standard of 5 ppb for the water in its schools, which is the same standard as the Food and Drug Administration’s requirement for bottled water. "We know when we committed to the 5ppb action level that it will be difficult to achieve, but it is the right thing to do for the health and safety of our students. We will continue to confront this challenge until all schools are below the 5ppb standard," the statement read in part. After more than a dozen schools throughout San Diego County were found to have lead levels between 5 ppb and 15 ppb in 2017, the district moved to test the water at all of its campuses. Last year, three water sources at Birney Elementary were found to have elevated levels of lead. In the sampling taken on May 2, 2017, a wall-mounted fountain was found to have a lead level measured at 19 ppb, a fountain posted on the 200 Building had 13.9 ppb and a fountain on the 300 building had 9.48 ppb. In a letter sent to parents, the school's principal reported "slightly elevated" lead levels were found in four classrooms including Room 303 (Spanish Specials; SAY classroom), Room 214, Room 212 (Computer Lab) and Room B17. "As a result, these 4 drinking fountains have been shut off and tagged, and a water dispenser or bottled water is being provided instead. This will continue while the district investigates the cause for these particular fountains, which originally tested below 5 ppb., to now have slightly elevated levels, and subsequently fixes whatever the problem is," Amanda Hammond-Williams wrote. Read the letter from the district. Another local elementary school in San Diego has tested positive for unsafe lead levels. Three water samples contained levels unacceptable under state guidelines. 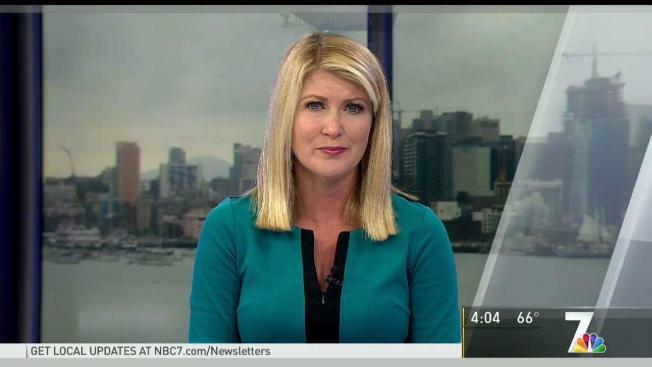 NBC 7’s Steven Luke learns more. In 2009, California’s health department, OEHHA, set the public health goal for lead in drinking water at 0.2 ppb. SDUSD vowed to lower the standard to 1 ppb by the year 2020. SDUSD officials said their staff has turned off the valve for now, as a precaution while they investigate the source of the lead. Click here to see water testing records at San Diego County schools as of August 2017.